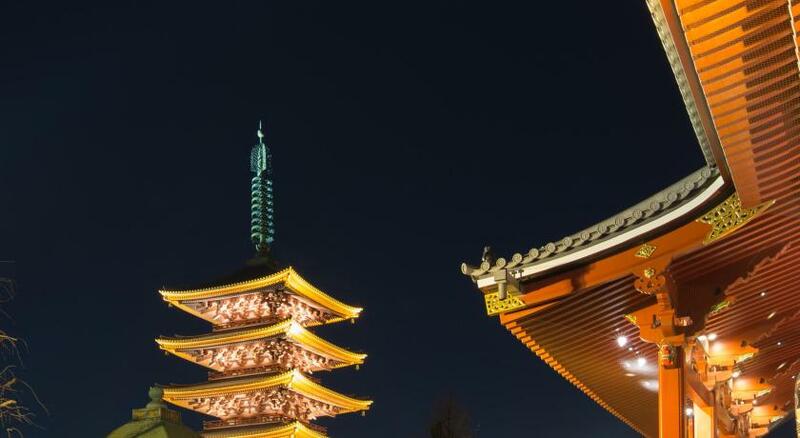 Lock in a great price for Red Planet Tokyo Asakusa - rated 8.6 by recent guests. Very clean and modern, great location and a great place to stay. Ask for a high floor and pay extra for the Tokyo SkyTree views!! The location is good, near the subway station and shops. Amazing location and wonderful view from the room. You can see Tokyo Skytree from the room, along with its clean and tidy room. I really enjoyed my stay here! Room bigger than the average japanese hotels despite the bargain price. Excellent quiet location with easy access to many restaurants, stores, train/metro station and walking distance to the senso-ji temple. 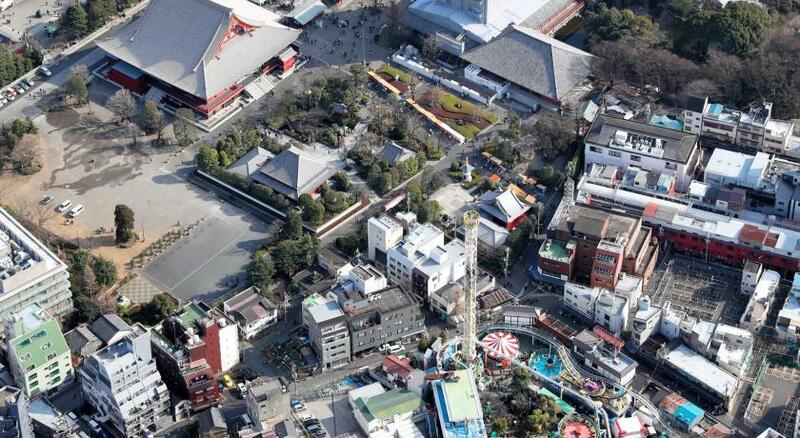 Comfortable, compact rooms, great location for access to Senso-ji temple and Tokyo Skytower. Friendly staff who were happy to store our bags before actual check in. We found the room quite spacious compared to previous hotel rooms in Japan. Everything was very clean and the bed was comfortable. The location was great! All the attractions in Asakusa were easily reachable by foot and there were a couple of good restaurants close by. 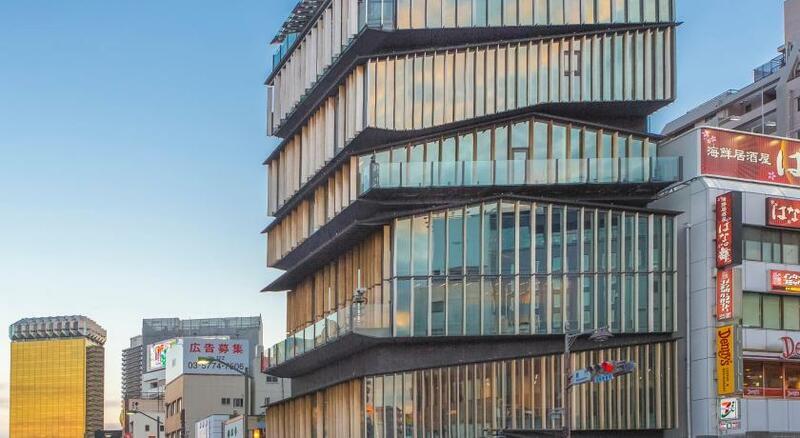 One of our top picks in Tokyo.Opened in 2015, Red Planet Asakusa Tokyo is located only a 2-minute walk away from Asakusa Train Station on the Tsukuba Express Line. Every room at this stylish non-smoking property is equipped with a flat-screen TV with satellite channels. Free WiFi is provided in all rooms. Rooms are air conditioned and equipped with a fridge, a desk and a private bathroom featuring a shower stall with a rain shower. For your comfort, you will find slippers and free toiletries. There is a 24-hour front desk with luggage storage at Asakusa Tokyo Red Planet. The hotel offers laundry, dry cleaning, fax/photocopying and private parking at a surcharge. The on-site restaurant serves various dishes. A Japanese set menu is provided for breakfast. 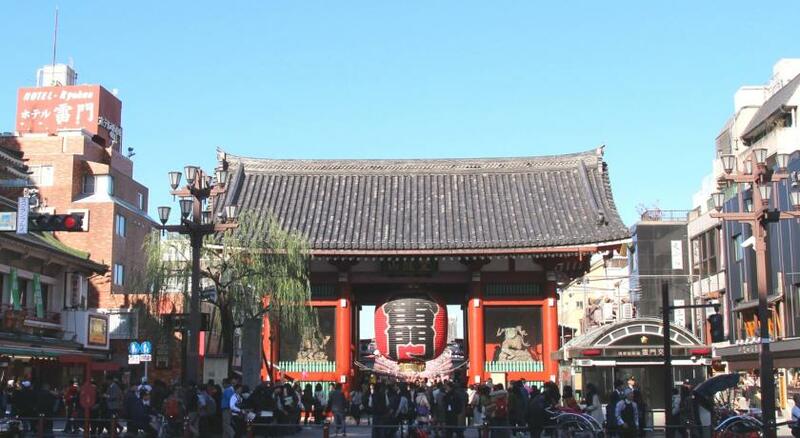 Red Planet Asakusa Tokyo is just a 7-minute walk from Senso-ji Temple and a 22-minute walk from Tokyo Skytree. The hotel can be reached in 5 minutes from Tawaramachi Station on the Ginza Line and in 7 minutes from Asakusa Station on the Ginza, Asakusa and Tobu Isesaki lines on foot. Red Planet Tokyo Asakusa has been welcoming Booking.com guests since 1 Jun 2015. When would you like to stay at Red Planet Tokyo Asakusa? This double room is air conditioned and fitted with a flat-screen TV with satellite channels, a desk, a fridge and a private bathroom featuring a shower stall with a rain shower. Private parking is possible on site (reservation is needed) and costs JPY 2000 per day. This twin room is air conditioned and fitted with a flat-screen TV with satellite channels, a desk, a fridge and a private bathroom featuring a shower stall with a rain shower. This double room with view is air conditioned and fitted with a flat-screen TV with satellite channels, a desk, a fridge and a private bathroom featuring a shower stall with a rain shower. This single room is air conditioned and fitted with a flat-screen TV with satellite channels, a desk, a fridge and a private bathroom featuring a shower stall with a rain shower. This single room with view is air conditioned and fitted with a flat-screen TV with satellite channels, a desk, a fridge and a private bathroom featuring a shower stall with a rain shower. Hotel surroundings – This neighbourhood is a great choice for travellers interested in temples, city trips and city walks – Check location Great location - show map Guests loved walking around the neighbourhood! House rules Red Planet Tokyo Asakusa takes special requests - add in the next step! Red Planet Tokyo Asakusa accepts these cards and reserves the right to temporarily hold an amount prior to arrival. Please note that outbound phone calls are not possible from in-room phones. Domestic and international calls can be made from the front desk at an additional charge. Please note that the guest name on the reservation must be the same as the name on the card used to pay for the reservation. The credit card used to complete payment must be presented at the time of check in. In case credit cards cannot be presented, the full amount of the reservation must be paid at check-in. Wi-Fi - it kept dropping out. Wi-Fi was a bit patchy. It kept dropping out. The facilities location and size are awkward, the room inhospitable with no decoration but mirrors. The shower cubicle was a little tight for space. would have been better just to have made it into a wet room using the same space. A lovely room with an excellent view of the city. Authentic Japanese breakfast—a different style of breakfast than we are used to (as Americans) but that's part of the fun! Really enjoyed our stay and would highly recommend the hotel. Bathroom a bit on the smaller side despite large room. The room size very small, difficult to open medium size luggage.